All fried food cooked in SOY OIL. All Food Cooked to order. Charlie Horse Gift Cards and T-shirts available! Great for sharing! 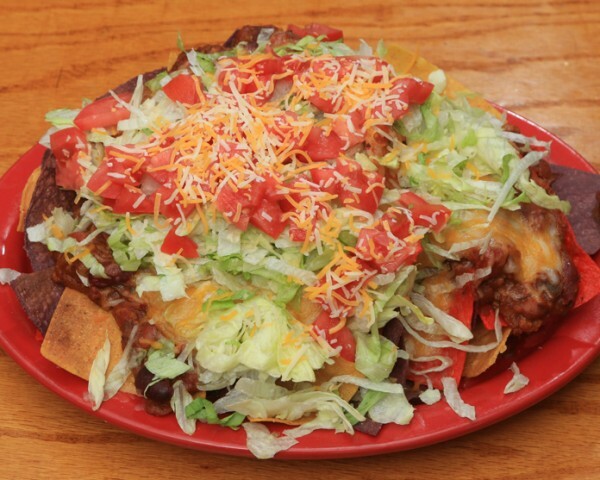 Tortilla chips piled high and smothered with chili, cheese, and topped with diced tomatoes and lettuce. Served with sour cream and salsa. Great for sharing! 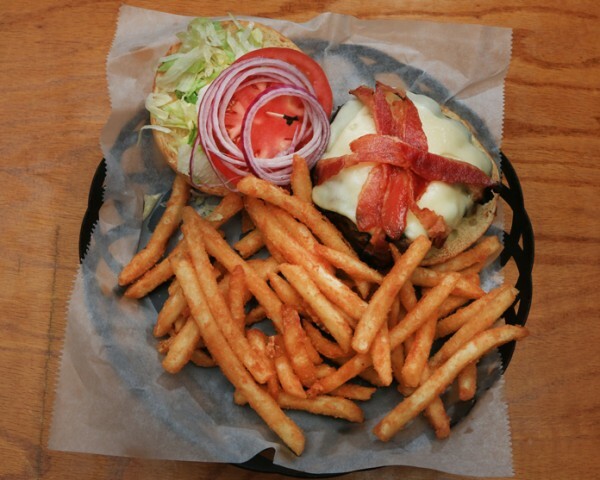 A generous portion of fries smothered in monterey jack and cheddar cheese and topped with crumbled bacon. Served with ranch. 6 PC. fried shrimp tossed in hot Buffalo sauce. Served with celery and bleu cheese. Fried slices of jalapeño peppers with ranch for dipping. Creamy sweet corn filling in a fried nugget. Dusted with powdered sugar. 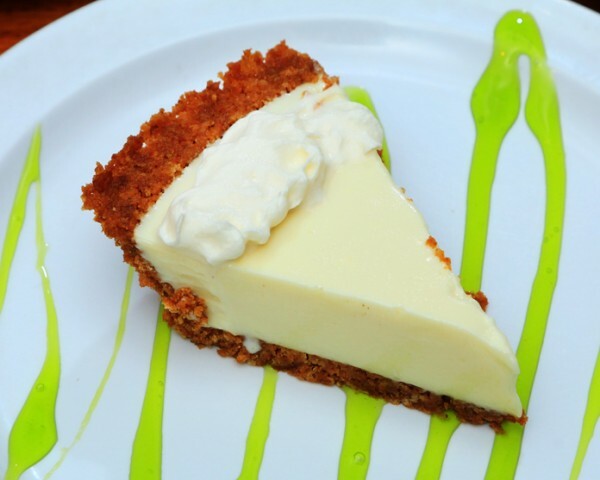 Served with ranch. Six coconut shrimp served with jammer sauce. Bite sized crab cakes made with real crab meat. 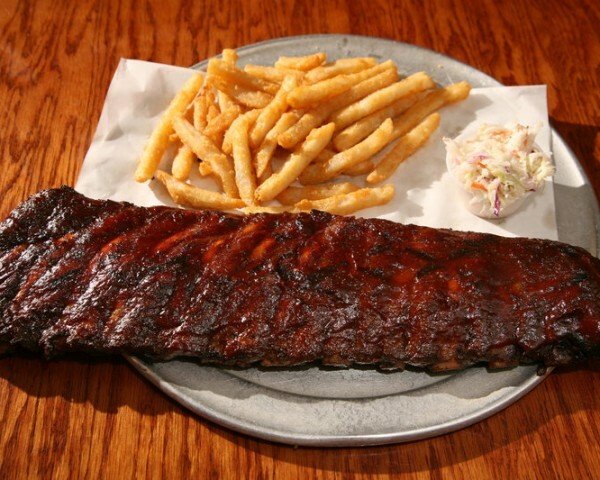 Served with our signature dipping sauce. 6 butter flied shrimp filled with spicy diced jalapeño and cheese filling. Served with lemon and drawn butter. Served on a sub roll with lettuce and tomato. Delicious mild white haddock perfectly fried. Grilled, sliced chicken breast smothered with onions, mushrooms, and mozzarella. Philly-style shaved steak grilled with onions, mushrooms, and melted mozzarella. Chicken breast marinated in honey, soy sauce and garlic, then grilled, basted with barbecue sauce and topped with melted cheddar jack cheese. Fried fish topped with melted cheese, and cole slaw on grilled rye. 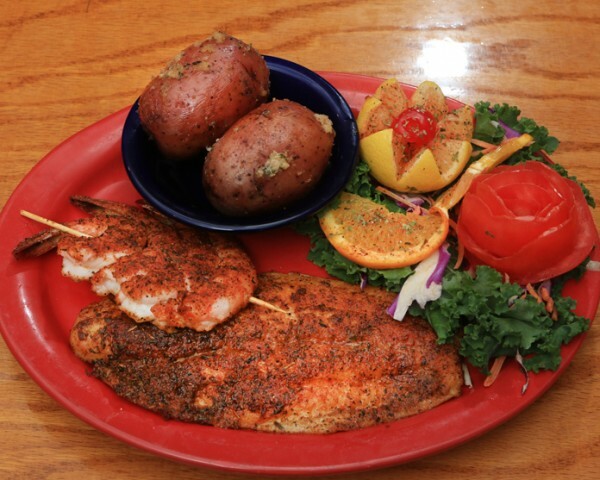 Our fish of the day served Fried, grilled, or Cajun-style. 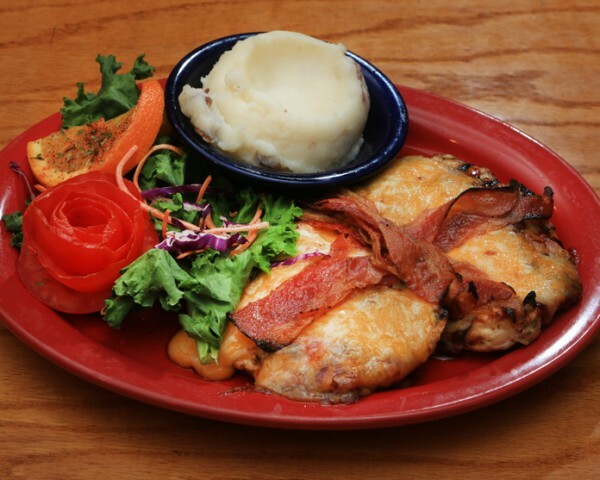 Grilled chicken breast with melted Swiss cheese and bacon. Fajita-seasoned chicken breast with peppers, onions, and melted cheese. 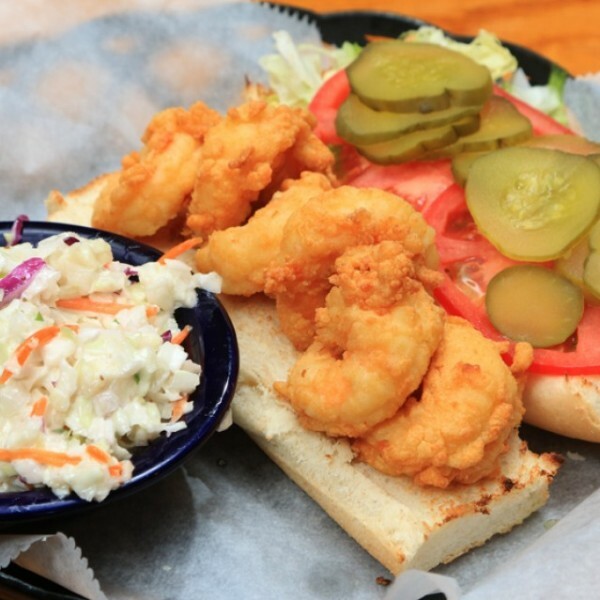 Fried shrimp topped with lettuce, tomato, and pickles. All white meat Buffalo tenders tossed in wing sauce and topped with melted provolone-mozzarella mix --served on a hoagie roll. 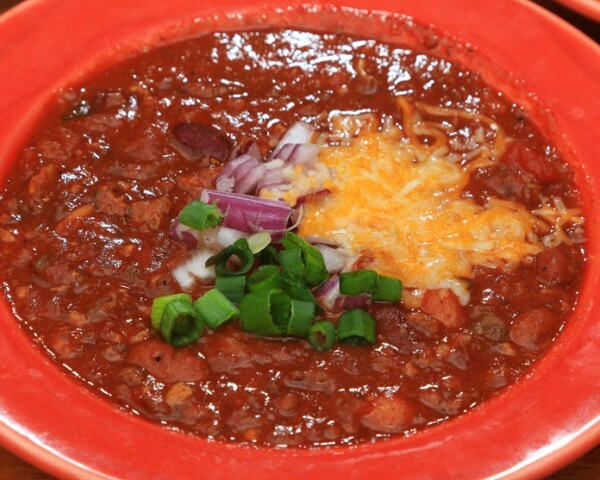 All dinners (except those served over pasta or rice) served with choice of fries, green beans with bacon, rice pilaf, garlic mashed potatoes, or garlic whole red potatoes. Add garlic bread for $1.99. 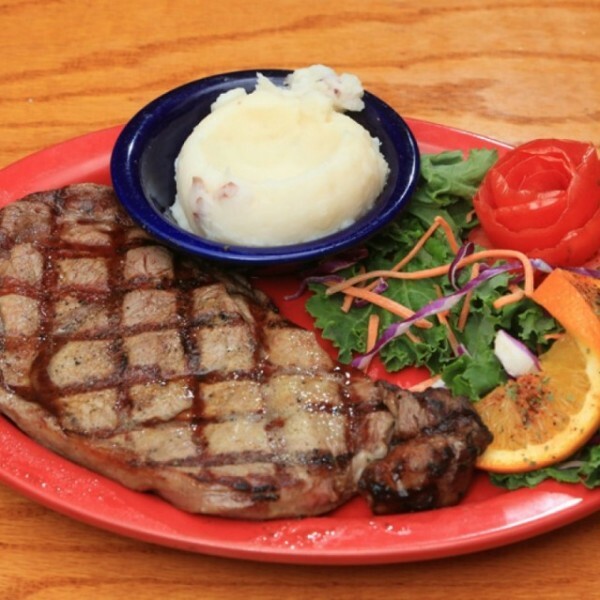 Add a dinner salad for $2.49. Brown gravy available upon request. 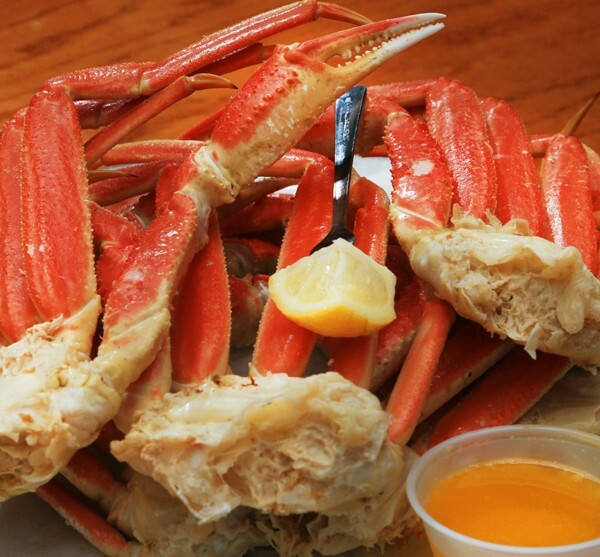 Sharing All-u-Can Eat Crab will result in a charge for market price of All You Can Eat Snow Crab for each person sharing. 8 oz. ground chuck topped with grilled onions and mushrooms. Not responsible for well done steaks. 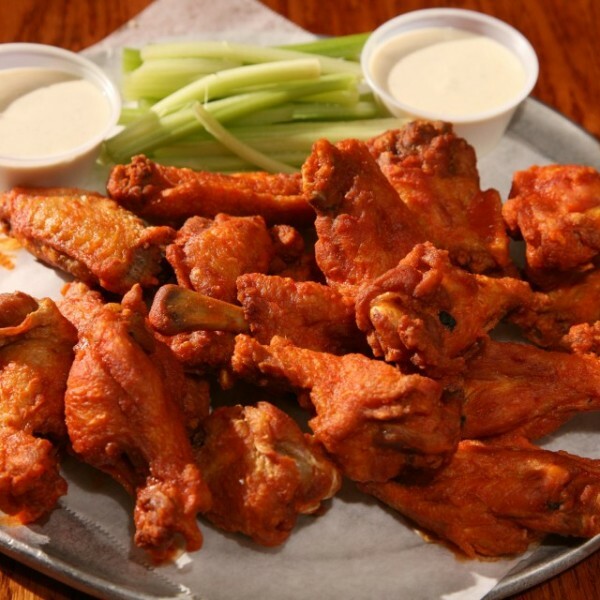 Half rack and 10 Buffalo wings (any flavor). Chicken breast marinated in honey, soy sauce, and garlic, then grilled, basted in barbecue sauce. 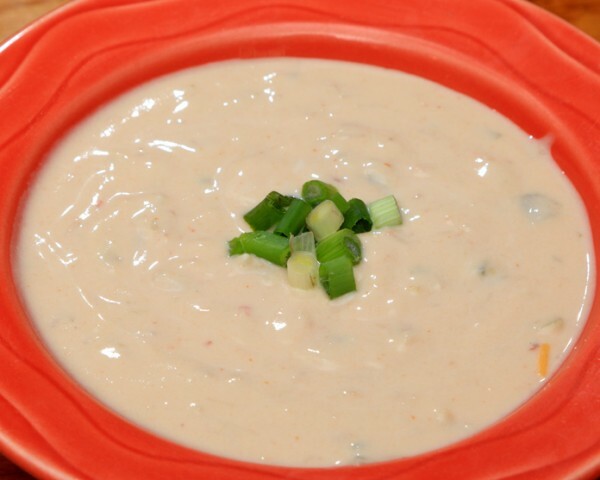 Topped with bacon, melted cheddar jack cheese and chives. Grilled chicken breast smothered with onions, mushrooms, and mozzarella cheese. Grilled or Cajun chicken breast served over pasta with our signature garlic Alfredo sauce. All white meat tenders (5) served with fries and sauce for dipping. (12) $18.99Hand breaded to order. 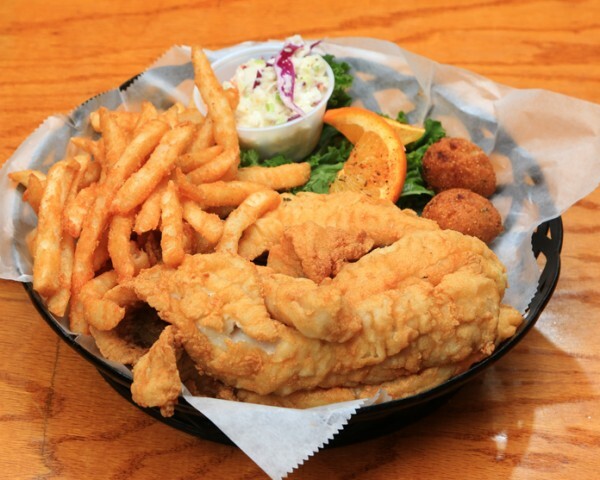 A generous portion of our fried mild flaky white fish served with fries, slaw and hush puppies. Grilled, Cajun, Scampi, or Teriyaki served over pasta alfredo. Grilled, Cajun, or Scampi fish of the day served over pasta with our signature garlic Alfredo. 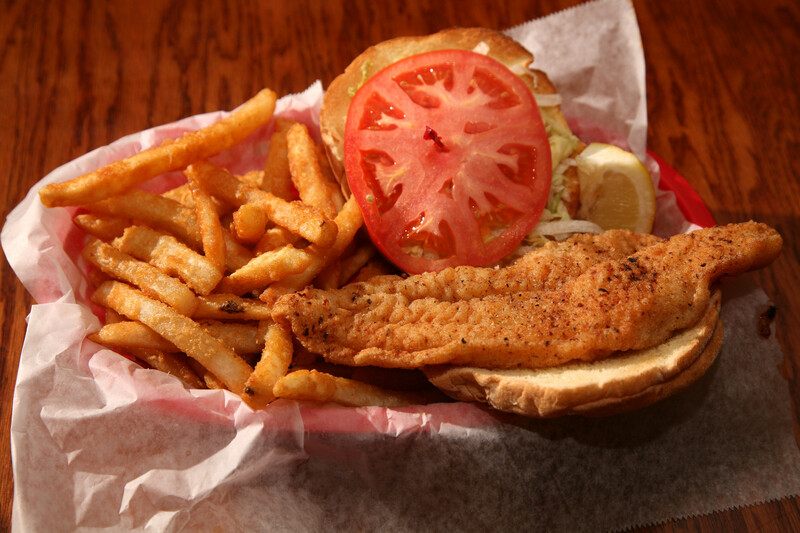 Upgrade to Haddock for $2 or Mahi-Mahi for $3. 1/2 lb. 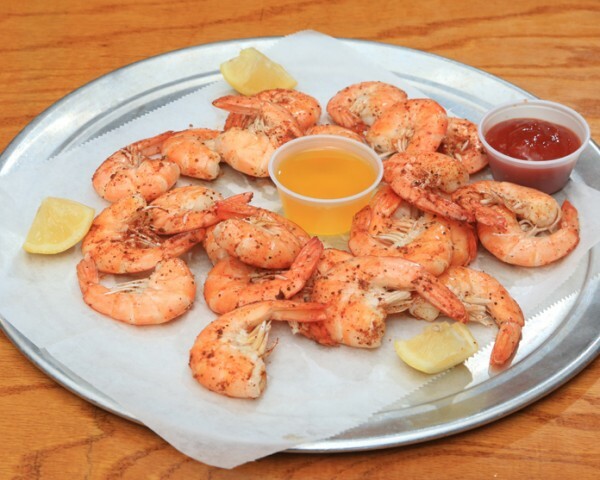 of steamed shrimp and 1 lb. of snow crab. 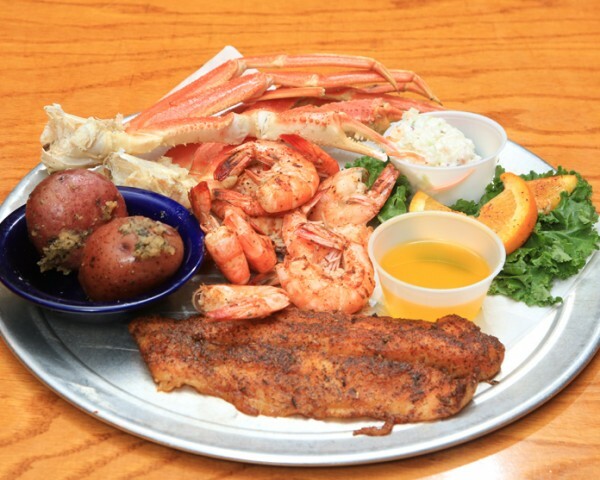 A fish filet (grilled, cajun, scampi, or fried) and choice of grilled shrimp skewer or 6 fried shrimp. Consuming raw or undercooked foods such as fish, shellfish, meat, poultry, and eggs may pose the risk of food bourne illness. Dressings: Ranch, Honey Mustard, Bleu Cheese, Thousand Island, Red French, Italian, Fat Free Raspberry Vinaigrette, Balsamic Vinaigrette. All white meat fried chicken breast on a large garden salad. 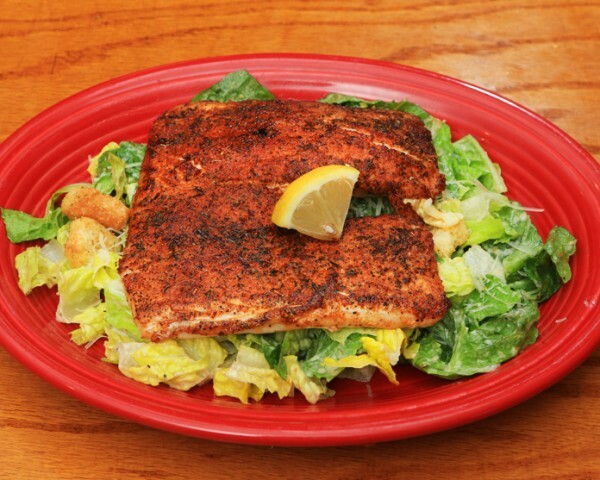 Choose Chicken, Fish, or a Skewer of Shrimp on a large garden or Caesar salad. 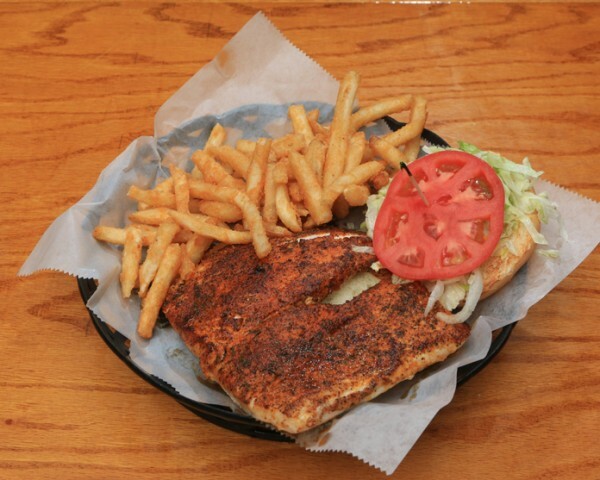 Our white meat tenders tossed in Buffalo sauce and served on a bed of mixed greens with onions, tomatoes, cucumbers, croutons, cheddar jack cheese and your choice of dressing. 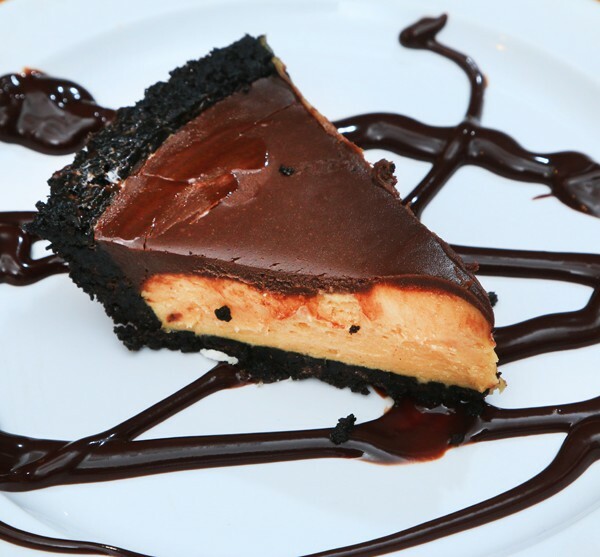 We suggest bleu cheese. Coke, Diet Coke, Sprite, Mr. Pibb, Mello Yello. Children's Menu … 12 and under … served with fries … drink included. Absolut Raspberri, triple sec, strawberry puree and cranberry juice. Cabernet Sauvignon, Merlot, Pinot Noir, Chardonnay, White Zinfandel, Pinot Grigio, Riesling.